lets you know when I send out the About Afghanistan e-zine (in case you don't like to give your e-mail address, or if your ISP tends to over-filter causing you to miss an issue). To subscribe to my About-Afghanistan blog (no e-mail necessary), right-click on the orange RSS button (see bottom buttons to the left) and then paste the URL into your RSS reader. Become part of the About-Afghanistan.com blog! Simply tell your favorite story by clicking here! Your story becomes part of this blog (which shows the site's most recent pages) and a permanent part of About-Afghanistan.com for others to read! And I'll tweet your Web page at my Twitter account, too! 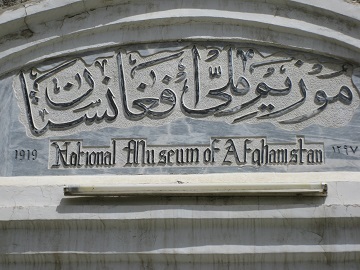 Continue reading "Afghanistan National Museum"
Continue reading "Center for Contemporary Arts Afghanistan"
Continue reading "Afghanistan National Art Gallery"
Continue reading "Afghanistan National Archives"
Continue reading "Afghanistan National Archives Collections"
Continue reading "Afghanistan National Archives Building"